It's Winter Time at Mt Hood Skibowl! Summer Activities - Over 20 Attractions! Be Sure To Check Out Our Lodging Special Deals & Packages! A Portland local’s favorite, the 18-hole Disc Golf course is an adventure through the Northwest forests and mountain meadows of the Mt. Hood Adventure Park. Designed by local Troy Fischer, the course meanders downhill after an initial ride up the lower Scenic Sky Chair to a mid-mountain elevation of 4,400 feet. From there, begin your journey down the mountain with long-distance fairways and a course suitable for all levels of expertise. You’ll have spectacular views of Mt. Hood and the surrounding area as you play your way down the mountain. Each of the 18-holes has ‘tee-off’ areas ranging from beginner to advanced, along with nicely maintained fairways and highly visible baskets to finish off each hole. Discs and course maps are available at the ticket booth. We look to see you out there huckin’ some discs! Discover the Mt. 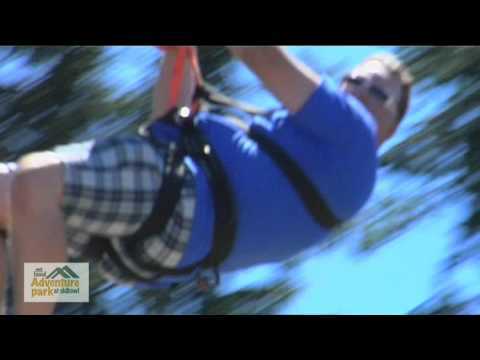 Hood Adventure Park at Skibowl with over 20 attractions! 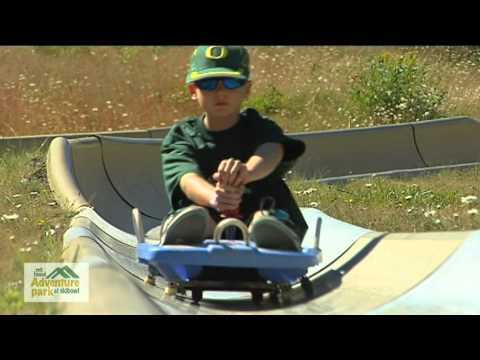 Don't wait, head to Mount Hood today to see why the park is known as Oregon's most exciting summer attraction and top thing to do for Portland area families and visitors alike. Looking to get your adrenaline pumping? Big drops, high speeds, hairpin turns? Come try bungee jumping, race cars, zip lines, Alpine Slides and more at Skibowl! Looking for family fun? We've got lots of great activities for the whole family to get into here at Mt Hood Skibowl, and many fun activities just for the young ones! Amazing scenic vistas, mountain waterfalls, glacially fed waterfalls, it's all here at Mt Hood Skibowl for you to enjoy!